In the process of saving lives, she has been attacked 14 times by criminals and left impaired by right ear but her determination got more strong with time. The Indoscopy team congratulates Sunitha Krishnan for this award. She was invited to speak at TED-India 2009 at Infosys Campus, Mysore. The audience listened painfully to some of the stories of the more than 3,200 girls she has rescued, girls who had endured unimaginable torture and yet, somehow, nevertheless found the will to heal and thrive. She spoke of the need for everyone to overcome silence about the phenomenon of human trafficking, the modern form of slavery, and for us not only to offer our love and compassion to its victims, but to be willing to accept them in our communities. She admitted that rescuing girls is never a very safe business, sharing that she can no longer hear out of her right ear, and that she has been beaten up during interventions more than a dozen times. 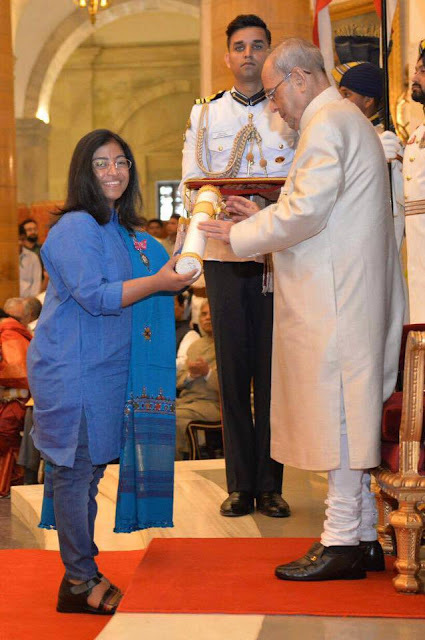 Sunitha Krishnan was conferred the 4th Highest civilian award Padma Shri by the honourable president of India Shri Pranab Mukherjee on 12th April 2016. 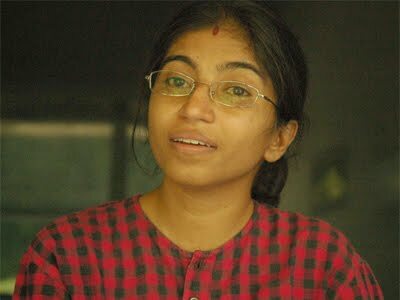 Sunitha Krishnan was awarded Vanitha Woman of Year Award on 25th July 2010 for saving thousands of victims of prostitution and their kids.